A description about all you want to know about income tax collection, rate of income tax, payments, methods to reduce income tax etc..
Taxes are collected by three means: a) voluntary payment by persons into various designated Banks. For example Advance Tax and Self Assessment Tax b) Taxes deducted at source [TDS] on your behalf from the payments receivable by you. c) Taxes collected at source [TCS] on your behalf at the time of spending. It is the constitutional obligation of every person earning income to compute his income and pay taxes correctly. The rates of income tax and corporate taxes are available in the Finance bill [commonly called budget] passed by Parliament every year. Generally the tax on income crystallizes only on completion of the previous year. However for ease of collection and regularity of flow of funds to the Government for its various activities, the Income tax Act has laid down payment of taxes in advance during the year of earning itself. 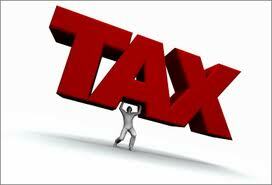 Taxes may also be collected on your behalf during the previous year itself through TDS and TCS. If at the time of filing of return you find that you have some balance tax to be paid after taking into account your advance tax, TDS & TCS, the short fall is to be deposited as Self Assessment Tax. A form called Challen available in the Income Tax department, in banks and on the IT department web site should be filled up and deposited in the bank along with the money. Taxes can also be paid on-line. The tax to be paid by the companies on their income is called corporate tax and in the challan it is mentioned as Income tax on Companies. Tax paid by non-corporates is called Income tax and in the challan it is identified as Income tax other than Companies. Under the Income tax Act every person has the responsibility to correctly compute and pay his due taxes. Where the Department finds that there has been understatement of income and tax due, it takes measures to compute the actual tax amount that ought to have been paid. This demand raised on the person is called Regular Tax. The regular tax has to be paid within 30 days of receipt of the notice of demand. v. The unique identification number called PAN [Permanent Account Number] allotted by the IT Department. The filled up taxpayers counter foil will be stamped and returned to you by the bank. Please ensure that the bank stamp contains BSR[Bankers Serial number code], Challan Identification Number [CIN], and the date of payment. The NSDL website [http://www.tin-nsdl.com] provides online services called Challan Status Enquiry. You can also see your tax pass book, an online tax credit viewing facility in the same website. You must first register your PAN by logging into the online service called view tax credit in the NSDL website [http://www.tin-nsdl.com]. Thereafter your PAN registration must be authorized by visiting the nearest TIN [Tax Information Network] facilitation center of NSDL or getting their representative to call upon you. These are paid services. For payments deposited by you into the bank you will have to contact your bankers if the credit has not been given even after three days. In case of TDS or TCS you will have to contact the concerned deductor /collector after the due date for filing the quarterly TDS/TCS return by them is over. Once taxes are paid, you are responsible for ensuring that the tax credits are available in your tax passbook, TDS/TCS certificates are received by you and that full particulars of income and tax payment along with necessary proof is submitted to the income tax department in the form of Return before the due date. The tax can be reduced by making investment in approved schemes and also by making donations to approved charitable institutions. 0 Response to "Tax on Income"